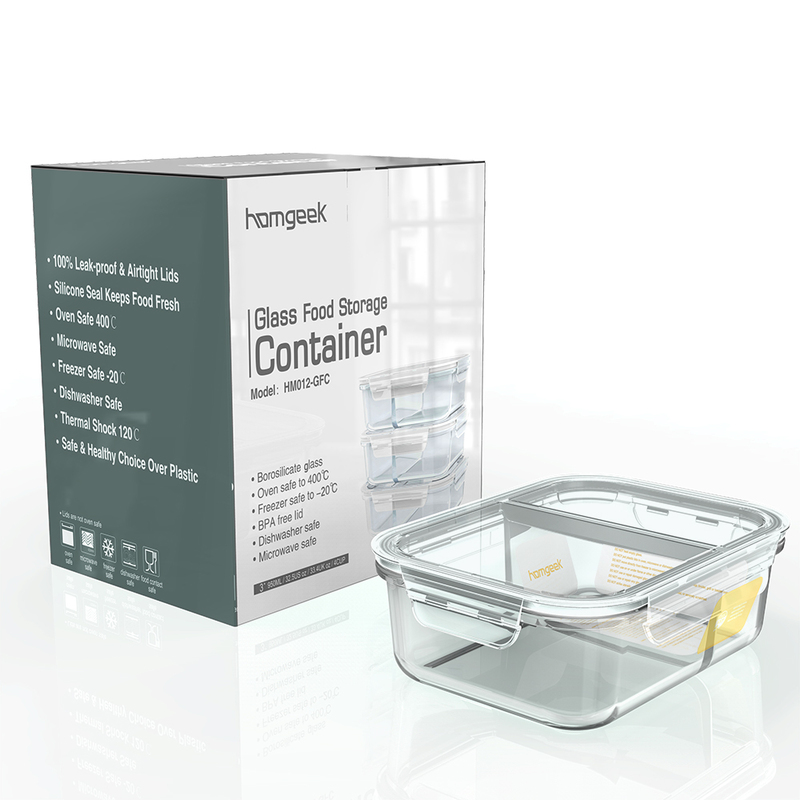 3 piece set of 2 compartments glass food containers that is in good quality and well designed. The middle section is reach the lid that make sure the two different foods will stay separete and no getting mixed. 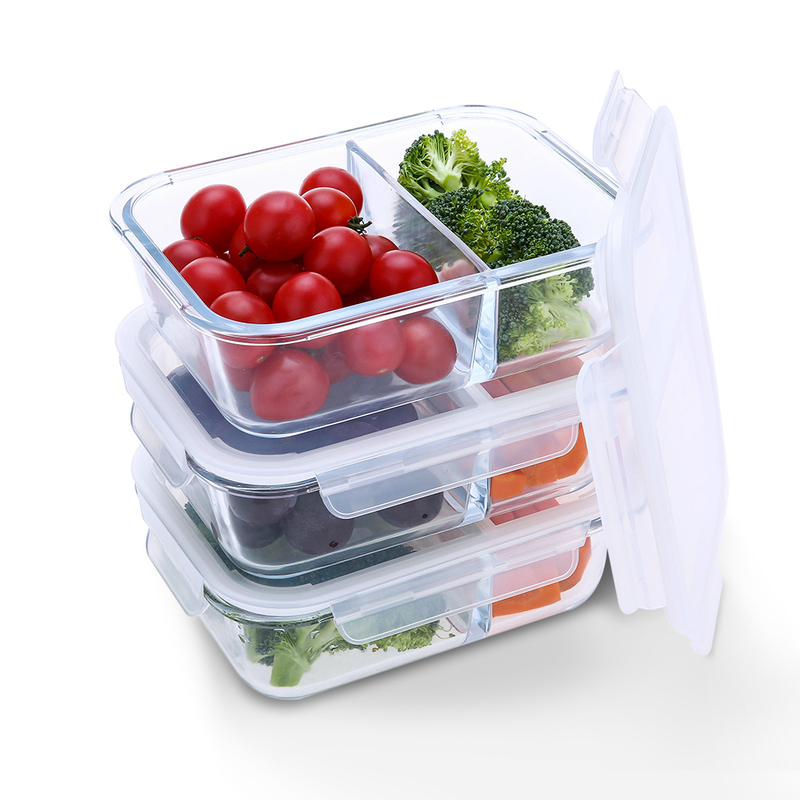 The snap locking lid is air-tight, so no more worrying about make a mess in your lunch bag when carrying it around. 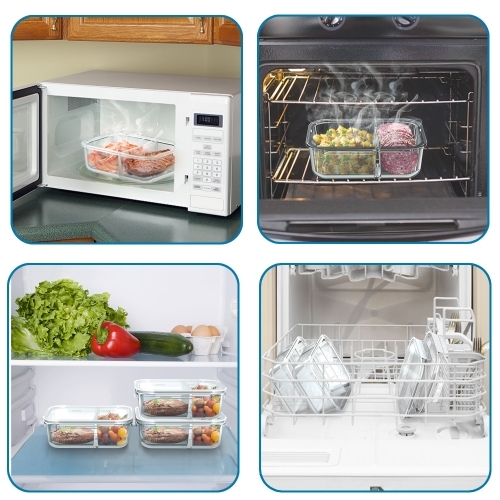 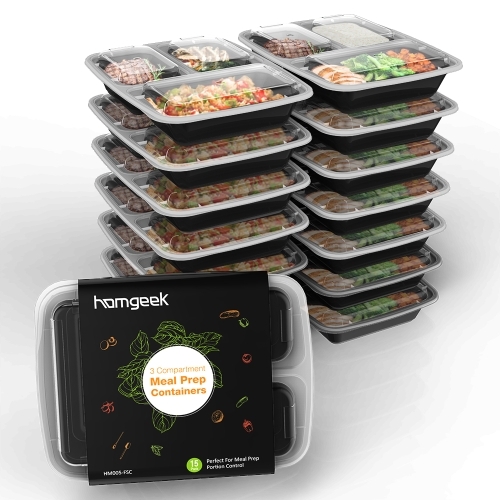 Silicone sealed snap locking lid that is air-tight, leak-proof and keeps food fresher. Made of good quality high borosilicate glass that has strong heat-resistant ability (up to 400℃）and safe to use. 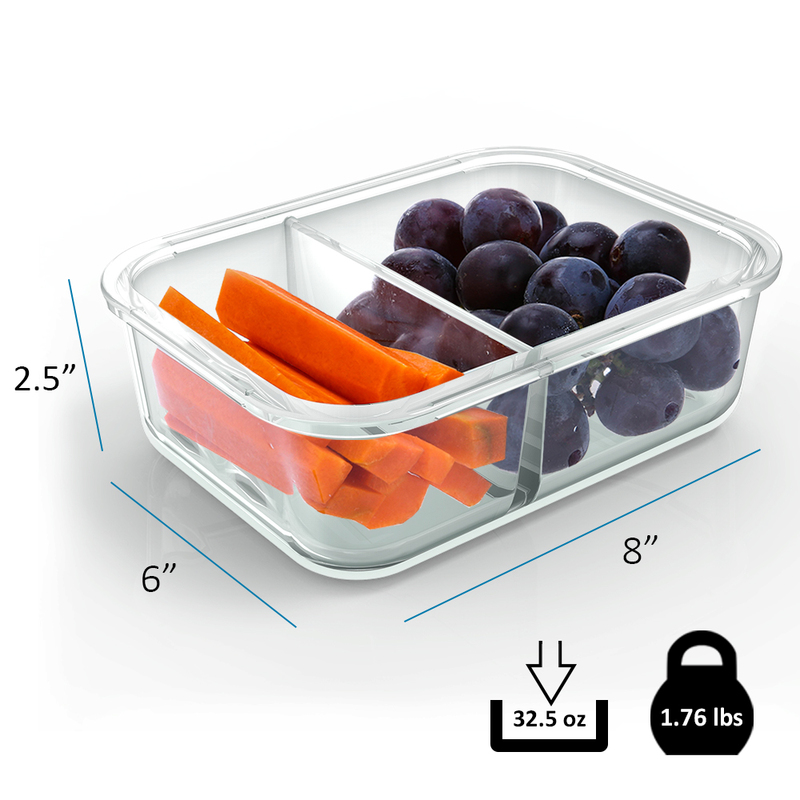 2 compartments designed, which allows you to bring fruits and vegetables at the same unit. 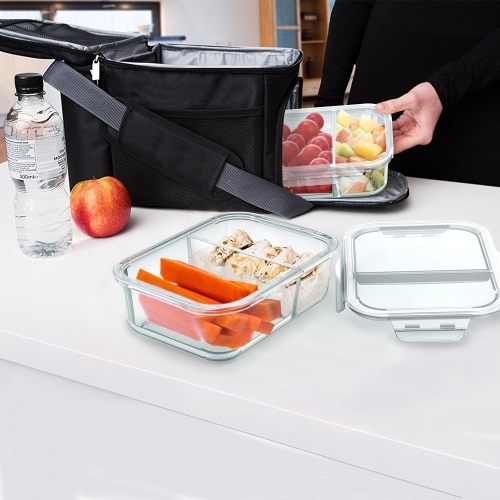 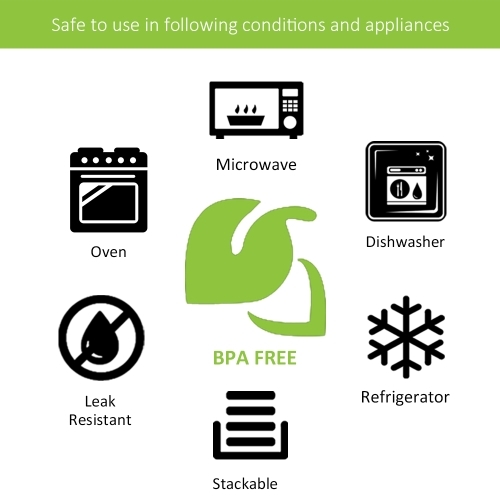 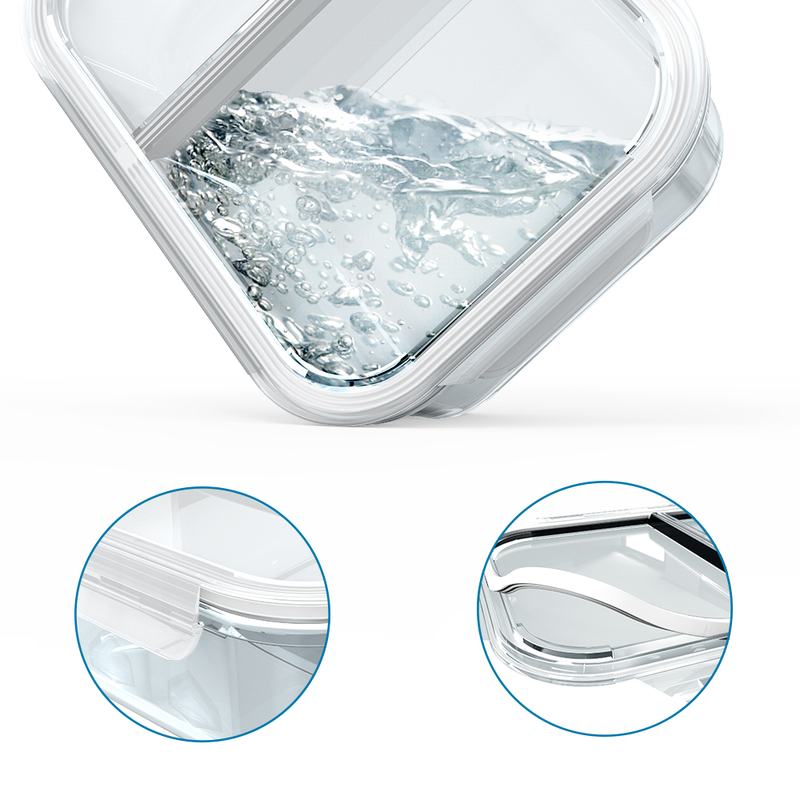 Multi-purpose glass container: for carrying food when picnic, study, or working, for storing dried food to keep them dry, for well-organized your refrigerator, and for keeping food fresher, etc. Do not microwave them with the lid on.